Day 1 Arrival to Tashkent. Transfer to the hotel. Rest. Day 2 Sightseeing in Tashkent. The New Year celebration. Day 3 Transfer to Samarkand. Sightseeing in Samarkand. 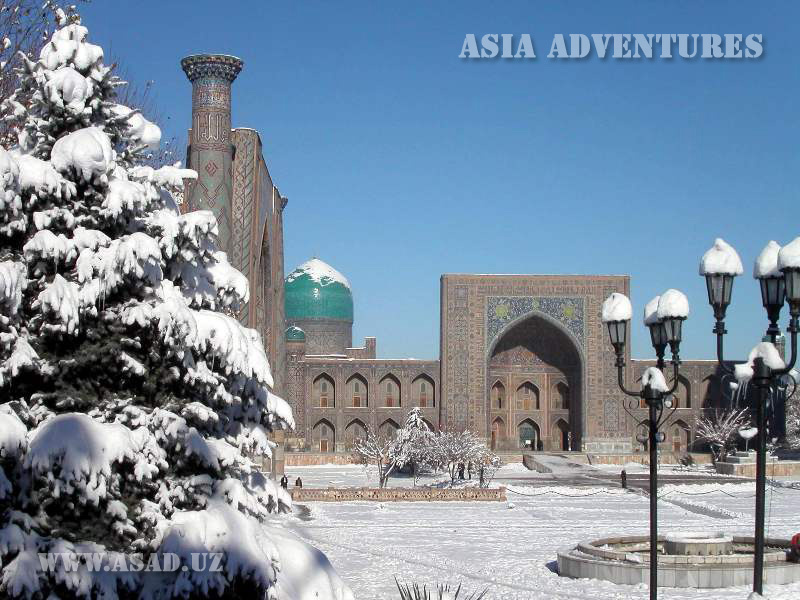 Day 4 Continue of the excursion in Samarkand. Day 5 Transfer to Bukhara. Sightseeing in Bukhara. Day 6 Continue of the excursion in Bukhara. Day 7 Departure from Bukhara.